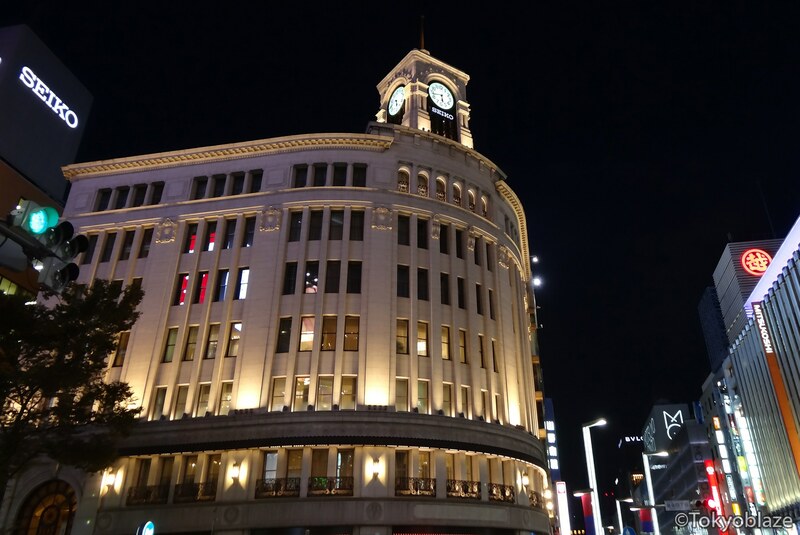 One of the most iconic buildings in Ginza, the Wako department store. The clock tower plays the Westminster chimes. Ginza during Hokosha Tengoku(歩行者天国; Literally:Pedestrian Heaven). On the right is Cartier and Chanel; on the left is the department store, Matuysa Ginza. 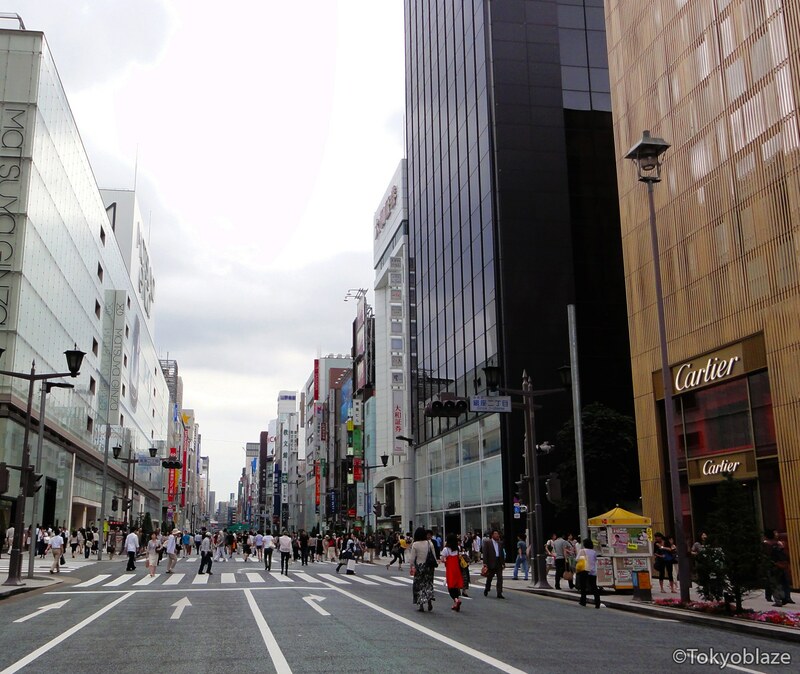 Ginza is a world-famous shopping district full of luxury shops and massive department stores. You will also find world-renowned restaurants, fancy coffeehouses, and cafes. March to September: Noon~6 p.m.
October to March: Noon~5 p.m. 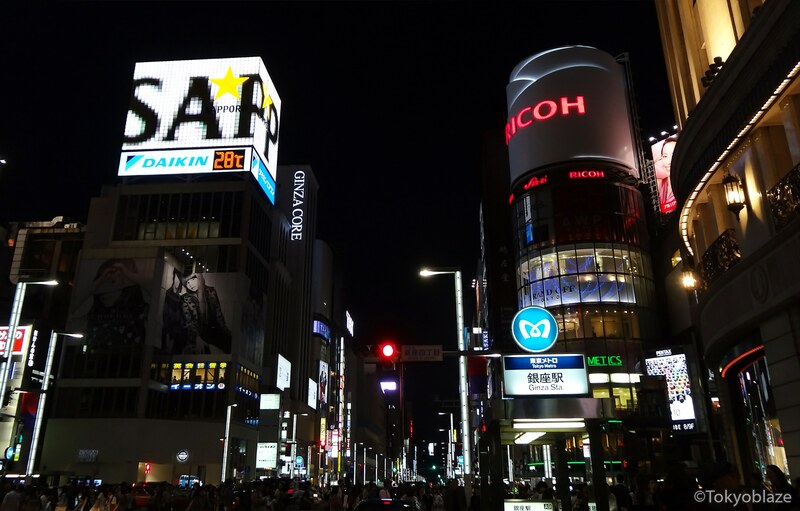 There are plenty of things to see and enjoy in Ginza. Below are some famous stores you can find here. ・Ginza Mitsukoshi – This department store was opened in 1930 and was the place where McDonald’s opened their first store in Japan. ・Matsuya Ginza – This department store chain has two stores; one in Asakusa and one in Ginza. Their Ginza store is particularly stylish as it is covered almost entirely in glass. As with most department stores in Japan, there is a restaurant floor on the top and a “depachika(デパ地下; literally: underground of department store)” underground selling all kinds of food. 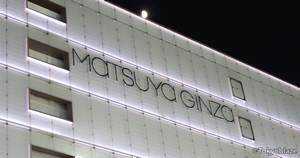 The popularity and sales of their Ginza store rivals that of Mitsukoshi Ginza. ・Printemps Ginza(Printemps pronounced as “plantan” in Japanese) – This department store is popular among women. It was originally a joint-venture between the Printemps department store in France and a Japanese grocery store chain. Now, it is owned mainly by Yomiuri and Mitsukoshi. ・Sony Building – A showplace for the latest Sony products. ・UNIQLO – This Japanese apparel company has hundreds of stores inside and outside Japan, but the UNIQLO store in Ginza is their global flagship store with 12 levels of the most up-to-date clothing the company has to offer. The staff here can service people in up to six languages, Japanese, English, Chinese, Korean, Spanish, and French. ・Itoya – With a history dating back to 1904, this chain store specializes in stationery goods and art supplies. The Itoya located in Ginza is its main store. ・H&M – This Swedish apparel store is popular among local girls. ・ZARA – Spanish apparel store. ・Forever 21 – American apparel store.